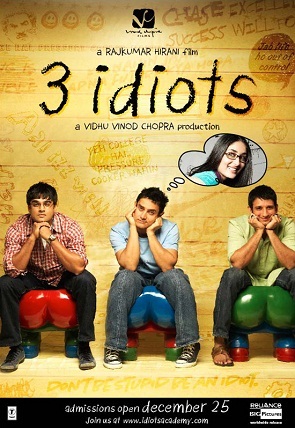 Our Great Foreign Films review for this week features 3 Idiots, the highest grossing Indian film of all time in India and overseas. It is lauded not just for its story but efforts to highlight real life inventions and technology developed by Indians. Farhan Qureshi (R. Madhavan), Raju Rastogi (Sharman Joshi) and Ranchhoddas Shamaldas Chhanchad (Aamir Khan) are friends and roommates. Farhan is pressured to follow his father’s footsteps and Raju wants to get his family out of poverty. They are both set to on their paths until Rancho, a guy who studies just because he loves it, steers their path towards a different direction. To Sir With Love, to me, is the paragon of mentor-student movie. It's one of the few films I see now way to improve. It was perfect and even after 10 years into the new millennium, it remains unprecedented. It is also why I am always doubtful whenever a movie about "learning the value of learning" comes out. What else can they possibly say that hasn't been said by To Sir With Love and how else can they say it better than To Sir With Love did. Well, 3 Idiots found it... by being idiots. The film’s greatest strength is balance. There are a lot of plot points in the film when it could have gone towards the usual Bollywood direction, unreasonable and ridiculous. However, the director was able to infuse comedy in that ridiculous Indian way without losing logic and creativity. Rancho, for example, was used as the one piece of the puzzle that never quite fit in, a piece that is necessary but is just out of shape. He refused standards and rules but enjoyed everything that it has brought humanity, the interaction, relationships and knowledge. He used the end as a motivation to try different means, believing that a different route towards the end will only not make the end meaningful but the journey twice as significant. Rancho enough crazy in him to keep the adventures coming but also had enough logic to keep the creativity of the film going. His antics and unconventional thinking made the movie interesting but also fuelled the logic of the narrative. His “derailment” from what is supposed to be became natural. There is also enough exploration and discovery. The characters didn't just grow and grow, the audience were allowed to discover what was already there. There is Rancho who were taking the whole school for a ride in his whimsical process of learning but there is also his past, a hidden story of who he is that affords him the luxury of living the life he wants. He had nothing to lose even when everything is at stake. Then there is Farhan’s and Raju’s angst, a deadly backstory ridden with cliché and utter familiarity. Pressure from a perfectionist father and unbelievable poverty. It was easy to take the usual path of proving their parents wrong by coming home victorious. Instead, they came home with failures and even more weaknesses than they did in the beginning of the film. The pay off then lies in the balance of the journey and the end. All the rebellion was justified because there was enough meat in the journey, the mistakes they made were enough for them to become what they were supposed to become, not what they were expected to become. Even their character exploration is more about balance rather than surprises. Farhan and Raju were both poised to be support but their storylines created enough ripple for them to create their own corner in the movie, one that seems to be able to stand even without Rancho. There is also the musicality of the film. If there is one thing that the international market remains wary of, it’s India’s penchant to break into songs in the middle of almost everything they do, no matter how out of place. This film also found balance in its music, skits and drama. So balanced it was that it is hard to imagine the film without the melody. We will have more Our Great Foreign Films reviews in the future.